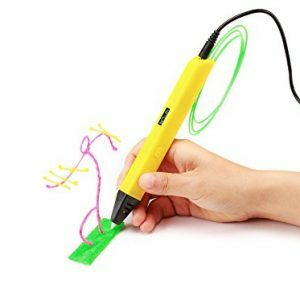 This 3d printing pen is with LCD screen , control the temperature and plastic type, perfect for kids, artists, hobby enthusiasm and the creative individuals , it can draw on the paper or surface or in the air . 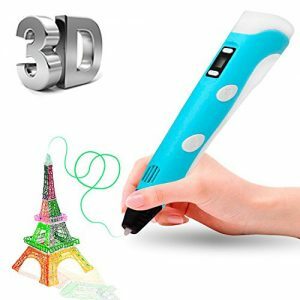 Scribbler 3D Pen replaces ink with plastic which melts at a high temperature which is used to draw in the air or on a surface to create 3D objects.Melted Plastic cools down very fast which makes the whole process safe. 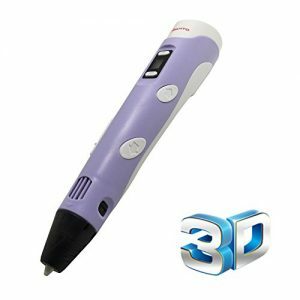 With Scribbler 3D Pen you can easily control extrusion speed, temperature and choose the plastic filament. 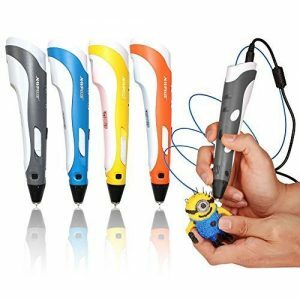 Scribbler 3D pen weighs just 2.3 Oz which is huge improvement compared to other brands. LARGE LED SCREEN – Many earlier edition 3D Pens lacked control detail, making consistent drawing very difficult and frustrating. 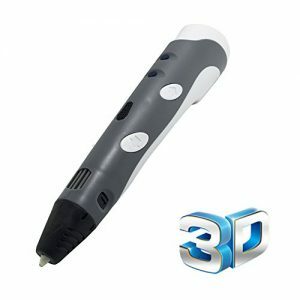 The SketchPro 3D Printing Pen is the LATEST EDITION of 3D pen and is packed with all the latest features, including a large LED screen which gives the user complete control over all details of their drawing experience from temperature and feed settings to material type options and even a quick-cleaning function which makes switching between filaments a breeze! FREE E-BOOK INCLUDED WITH EVERY PURCHASE – 3D printing takes drawing to a whole new level. Literally. Because of that, SketchPro 3D Printer Pen purchase includes a FREE E-book featuring over 100 unique stencils ranging from Beginner to Advanced to Professional (and beyond)! Use this small gift as a means of spring-boarding into as-of-yet unexplored regions of your imagination. 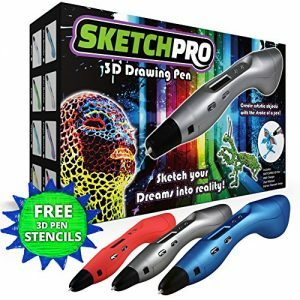 Safe to use for most ages, you won’t be disappointed with the SketchPro 3D Pen Kit, available in several color options. SAFE, EASY TO USE, AND PROFESSIONAL – We consider SAFETY a primary concern, especially where children are involved. That’s why every SketchPro 3D Printing Pen is packed with the latest technology for handheld printing safety including features like our automatic shut-off and quick-cleaning function. 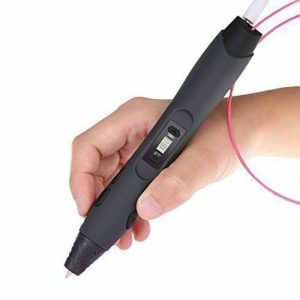 Ergonomic, safe, and comfortable for all hands, the SketchPro 3D Scribble Art Pen is sure to impress and inspire, though not nearly as much as the ART you create with it! 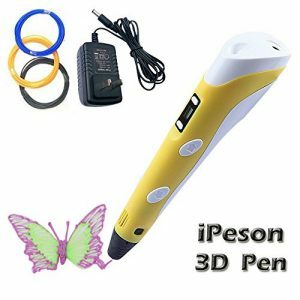 Light House 3d Drawing Pen for Drawing 3d Objects of Your Choice. 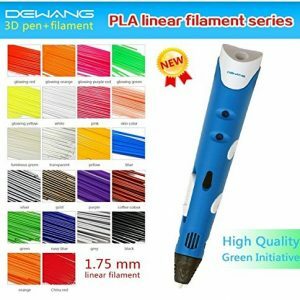 Intelligent 3d Pen with Free Filament. 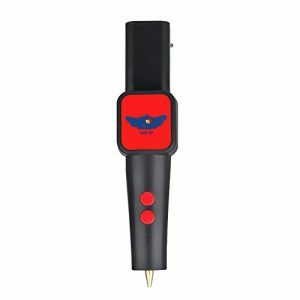 Works safely, we choose the non metallic nozzle which is low temperature when it works. 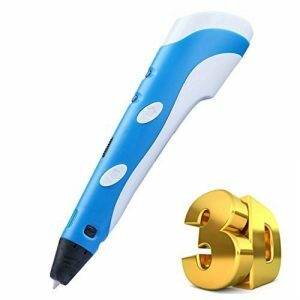 The Newest Version 3D Pen with awesome design and big LED Screen: This unique 3D stereoscopic printing pen enables you to translate your paper designs into real life.Lift the pen in the air,”draw” with your hand,and watch the magic unfold as your ideas begin to take shape. Adjustable Controls: With the new 3D Pen you can easily adjust extrusion speed and temperature which give you better control of your design while reducing the risk of scalding. OLED display shows the filament you’re using,the speed and the working temperature. 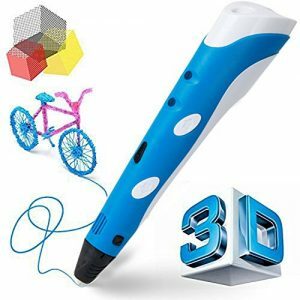 Great for kids and designer: Our 3D doodle pen is excellent for drawing,designing and modeling,and arts and crafts printing.It’s a ideal tool for artists,modelers,product designers,avid doodler,hobbyists,children 8 years and up,and more. 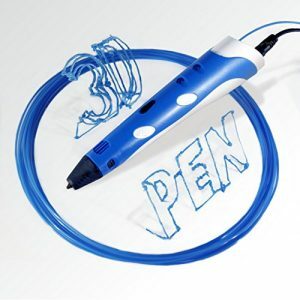 DEVELOP IMAGINATION：The 3D pen is a great tool for anyone interested in 3D modelling. It is a great gift for any occasion! The only limitation of 3D drawing is your imagination! 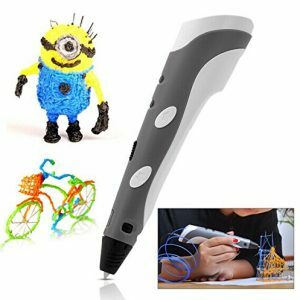 3D printing pen is perfect for children above 6 yrs old and adult no matter you are artists, hobbyist or creative lovers. SIMPLE AND PRACTICAL: The product is lightweight, a slim (easy to handle) design, meet the needs of children, students and adults With variable speed feature, you can freely control it according to the hand speed, allowing users in the creation of real time three-dimensional painting done most practically and with ease. This pen replaces ink with plastic which melts at a high temperature to create a 3D object instead of just an idea on paper. 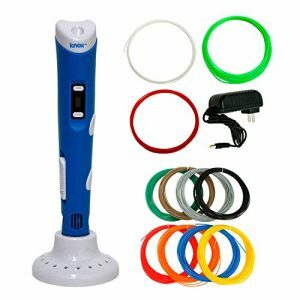 DESIGN OF INTELLIGENT STANDBY FUNCTION: The product will automatically switch to standby mode in 5 minutes, when you rest in operation or forget to turn off the power, the heating ring will stop working. When restart, the product begin to heat up, to avoid the risk of forgetting turn off the power. 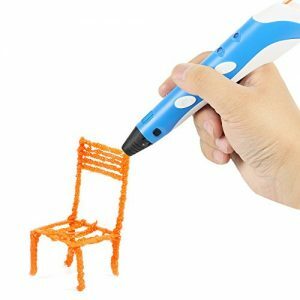 3D Pen for freehand drawing of 3D objects. Ergonomic design for optimal handling; intelligence standby, extending the service life of the spring. 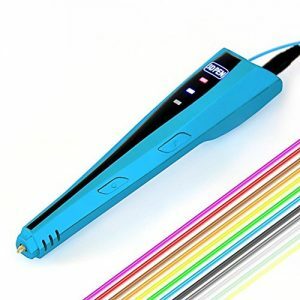 Lightweight and stepless speed design, draw on paper or in thin air, or trace and connect to create 3D masterpieces. Suitable for 1.75mm ABS or PLA filament. LCD Screen shows your control of temperature and filament. Quite easy and simple to use – Side button allows you to control extrusion speeds, while up and down buttons allow you to extrude or reverse filament. Suitable for 1.75mm PLA or ABS filament. This pen replaces ink with plastic(ABS) to create a 3D object in the air instead of just an idea on paper. 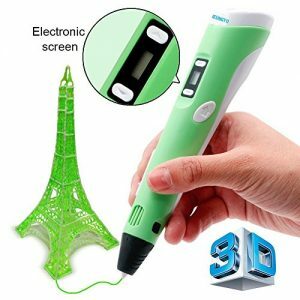 Samto 3d pen brings your art to life with easy control functions, such as its lightweight in design and speed control. 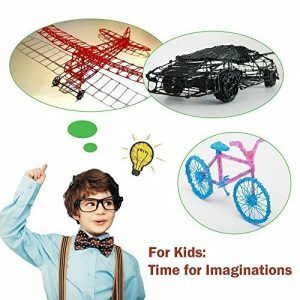 It is perfect for children above 8 years old and adults no matter you are artists, hobbyist or creative lovers. Samto Ver.2015 3D printing pen replaces ink with plastic(1.75mm ABS or PLA Filament) to create 3D object. Bring your art ideas to reality, easily control refills extrusion speed and temperature. 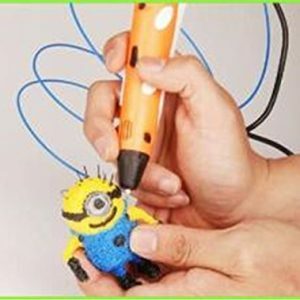 Unleash your Creativity with Scribbler 3D Pen!. Let it run rampant in your studio! 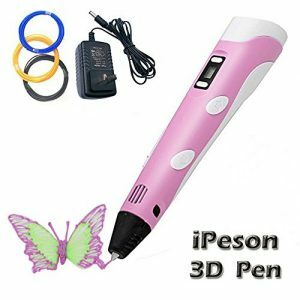 With such power of creation in your hands, create 3D art and objects with ultimate ease and precision! 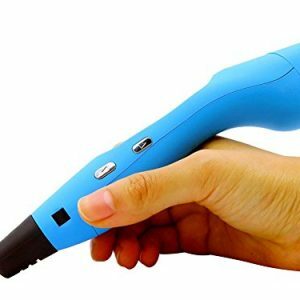 Scribbler 3D Pen replaces ink with plastic which melts at a high temperature which is used to draw in the air or on a surface to create 3D objects. Melted Plastic cools down very fast which makes the whole process safe. WARM PROMPT:We had 100% inspected this 3D Pen with filament in order to ensure the quality , so maybe you find that a very little bit remaining filament in the Nozzle.No worry, it is ok and it will work great.And it is rare to be the case. E-mail us if you met any problem. 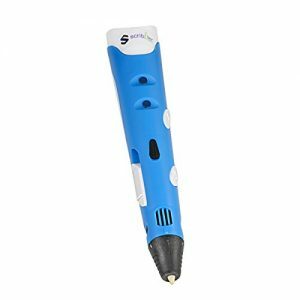 Control: .For some of the design and operation of three-dimensional defects pen on the market , we believe our pen provides users to operate when arbitrary. DRAW YOUR DREAMS! 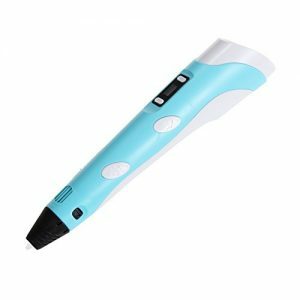 Replace your old pen and paper with the new and improved VectorMoon 3D printing pen. 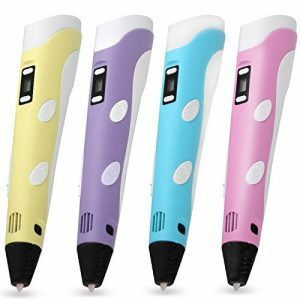 This pen heats plastic to its melting point, creating the perfect consistency for drawing on paper, clothes or even off of the paper in the air! NEW AND IMPROVED SLIM DESIGN! 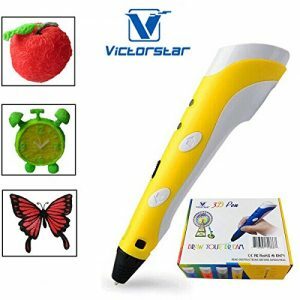 Compared to its competition, VectorMoon’s 3D printing pen is much slimmer to better fit the contours of the users hands, young or old. INCREASE YOUR USAGE TIME! 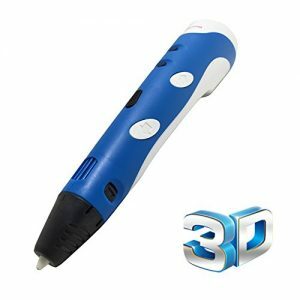 With other 3D pens on the market, the user must hold the extrude button down in order to draw. VectorMoon’s 3D printing pen enables a double tap to continuously extrude until toggled off. 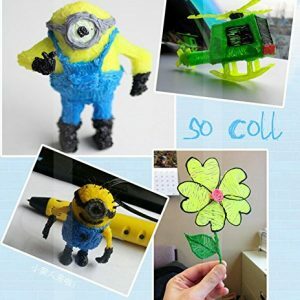 Package include:1x 3D printing pen: 1x 12V/3A AC adapte: 1x User + 10 Packs Multicolor PLA Filament-40 strands per pack. Extruder Speed Control (Fast/Slow) for faster or slower Drawing Speeds. 0.7mm Nozzle & Uses 1.75mm filament can used PLA & ABS filament. 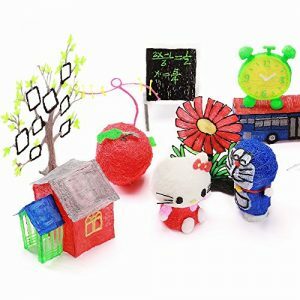 1.It is amazing gift for Kids over 8 years old, also is better selection for kid birthday gift, award gift, Christmas gift etc. This pen replaces ink with plastic which melted at a high temperature to create a 3D object instead of just an idea on paper. 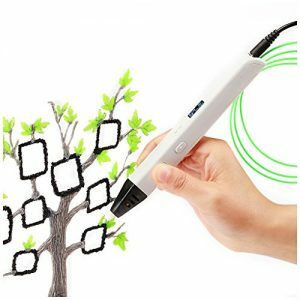 It can be used to draw in the air or on surface as well as tracing objects on paper. 2. 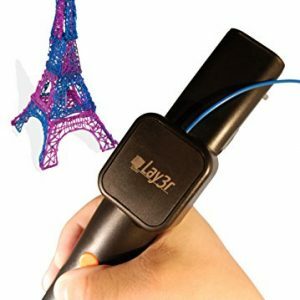 This 3D stereoscopic printing pen bring your art to life with easy control functions, such as its lightweight in design and has easier speed control. 3. 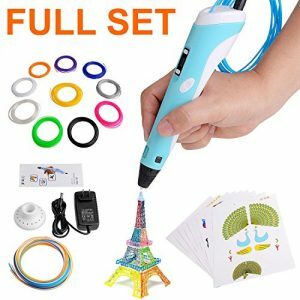 Creating true masterpieces with this really effective 3D pen that will perfect for the artists, hobby enthusiasm and the creative individuals. Used to make crafts, school projects, home decor, gifts, and much more! 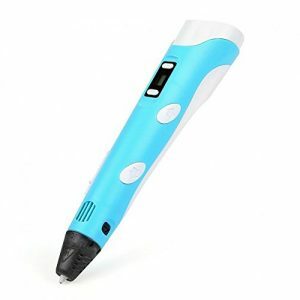 The Newest Version of 3D Pen with awesome design and LED Screen, best quality ever! This pen replaces ink with plastic which melted at a high temperature to create a 3D object instead of just an idea on paper. It can be used to draw in the air or on surface as well as tracing objects on paper. Use it just like any other kind of pen by drawing normally in the beginning, with the nib pressed to paper, but then you lift it in the air and the pen keeps drawing.